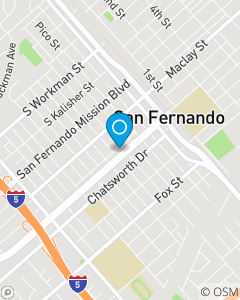 We're between Laurel Canyon and San Fernando Road, across the street from Citibank. The Chavez team is ready to assist you with a smile! We're highly trained, licensed and experienced in Auto, Home, Renters, Life & Health insurance. It's important for us to get to know you and learn what's important to you so we may guide you in the right direction. We continuously work on our development so we may offer you a remarkable customer service experience and identify opportunities for maximum discounts. Stop by to meet The Chavez Team!